WE ONLY SELL FISH IN WASHINGTON STATE AT THIS TIME. WE WILL NOT SHIP FISH. Shubunkins, once known as the "poor man's koi", are show stoppers in their own right. With no two fish with the same color pattern, each fish is unique. Their base color, like the calico fantail, is orange or blue with red, black, white, orange and blue metallic scales. Shubunkins range in size from 1.5" to as large as 14". 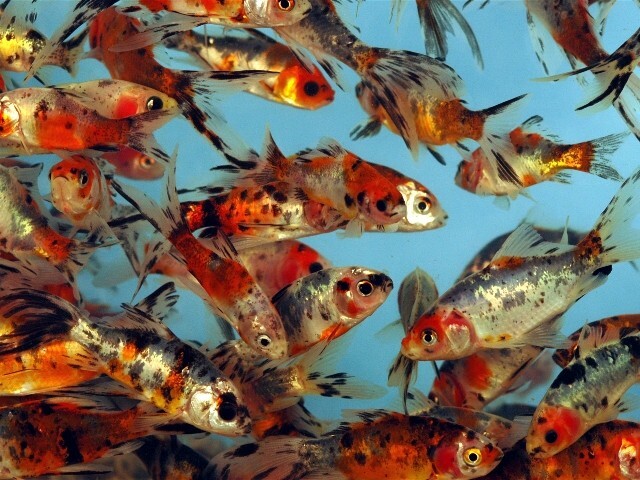 1.5" 2" 2.5" 3" 4" 5" 6" 8"
Koi are a great addition to any freshwater pond or water garden. 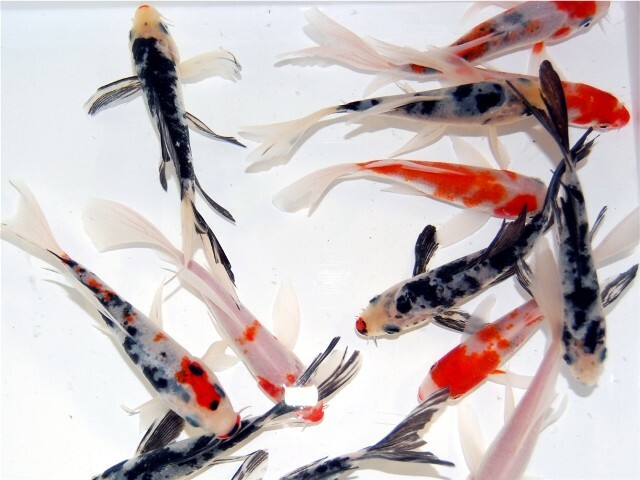 They can be mixed with any straight tailed goldfish including common goldfish, sarasa comets, pond comets and shubunkins, as well as butterfly koi. 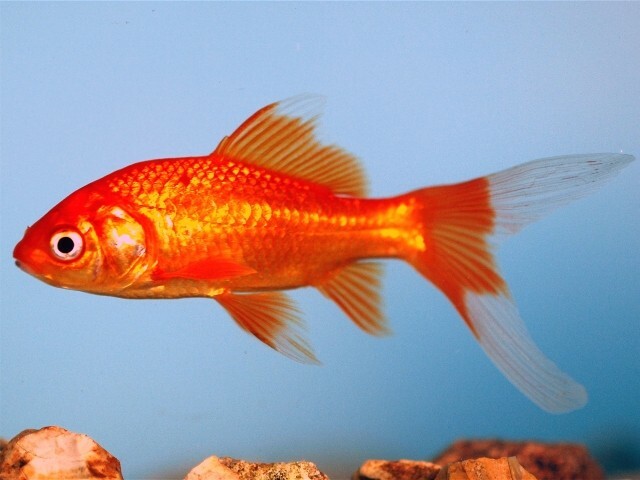 Standard Fin Koi have an oval body shape, as opposed to the Butterfly Koi which tend to be more slender. 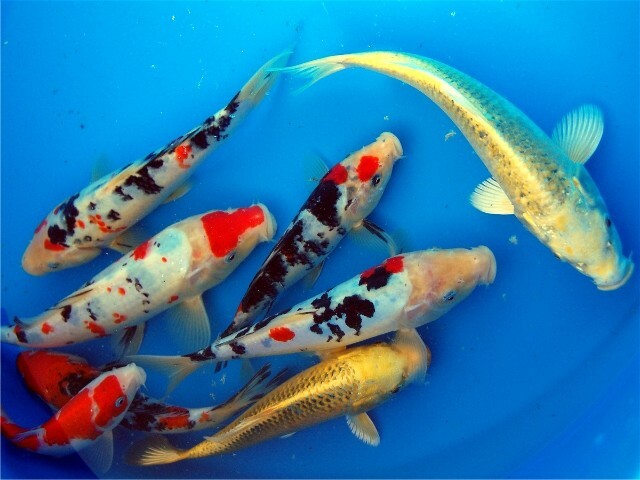 Our Koi come in a variety of colors, from solid yellow to tri-color patterns. Koi range in size from 2.5" to 36" but can grow even larger. 2.5" 3" 4" 5" 6" 8" 10" 12"
Butterfly Koi range in size from 2.5" to 36" - but given the proper settings can grow even larger. The most prominent feature of the butterfly koi is its elongated finnage. The older a Butterfly Koi is, the longer its finnage will be. As opposed to Standard Fin Koi, (which has a more oval body shape), Butterfly Koi tend to be more slender. Comets are primarily solid orange in color but do have other variations. You can occasionally find some with black markings, or some that are solid white or solid black. Pond comets have a distinct "V" shape to their tail, allowing their tail to be very long and flowing. They range in size from 1.5" to as large as 14". 2" 3" 4" 5" 6" 8"
PRICE LISTED DOES NOT INCLUDE SHIPPING. (We ship food.) PLEASE CONTACT US BY EMAIL IF YOU NEED A SHIPPING QUOTE.